Once I stayed at a Tibetan Buddhist Monastery and the nuns had the most delicious smelling Tibetan-style chai tea on the stove each morning. One day they made a small batch just for a couple of us who were vegan/lactose intolerant and it was game over. Magnificent. Heavenly. Today, I attempted to veganize Tibetan-style chai tea with these gorgeous cardamom pods I got and some homemade almond mylk. The results were creamy, silky, rich and flowery and absolutely transporting. This makes me want to smile and meditate and smile some more. 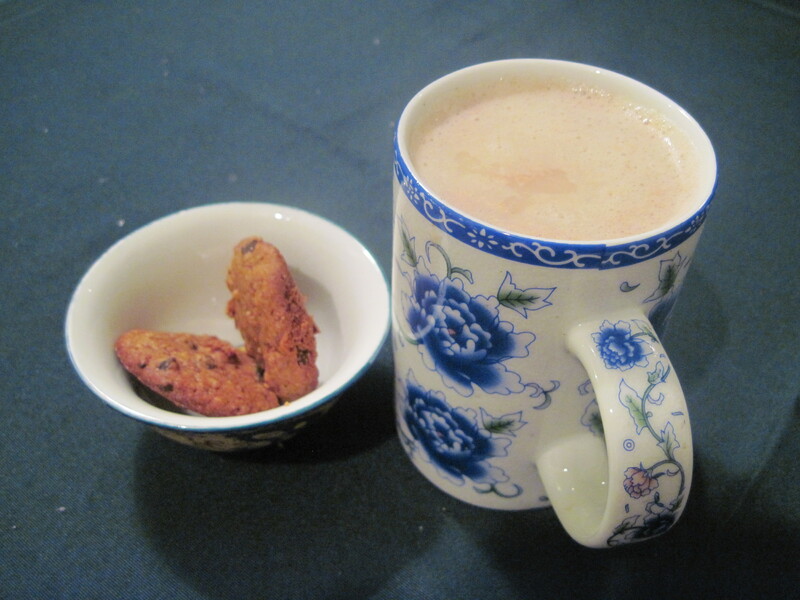 I love chai, especially home-made. I used to work with a woman from India who brought cardamom pods in her lunchbox to make chai for whoever was working that day. She would make mine with soy milk, and it was so delicious. There is something comforting, and transporting, about fragrant chai. Thanks for sharing your recipe. on March 10, 2013 at 3:20 pm | Reply Sarah E.
That sounds wonderful, yay for chai! I’m gonna NOM NOM NOM this up when I’m done juice cleansing! on March 10, 2013 at 3:57 pm | Reply Sarah E.
this sounds so yummy – I love me some chai! Yes! It’s rainy and grey here this morning. This would be perfect!